We have a look at how the listing process worked in the past and what has changed since. Until October 2015 Historic Scotland operated the Removal of Duty to Notify (RDN) scheme. It allowed local authorities (councils) to issue listed building consent for some cases without notifying Scottish Ministers. The scheme was a result of our close working with local authorities, combined with a desire to speed up the planning process and to tailor our advice more usefully. 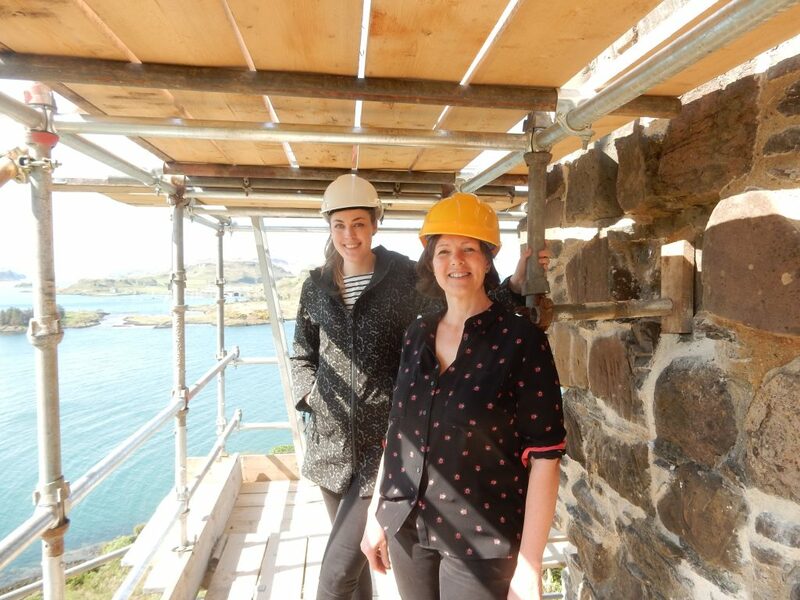 Previously, once authorities had agreed to changes to Category A and B listed buildings, they had to notify Historic Scotland before issuing listed building consent (LBC) to applicants. This gave us the opportunity to ask Scottish Ministers to call-in an application if we had concerns. We recognised these uncomplicated notifications were holding up the overall planning process. As many local authorities employed skilled conservation planners and had appropriate heritage policies in place, we decided to explore whether they could make decisions on some LBC applications without needing to notify us. We proceeded to run pilots with three authorities from October 2008. These were a success, and by 2012, fifteen authorities had signed up. 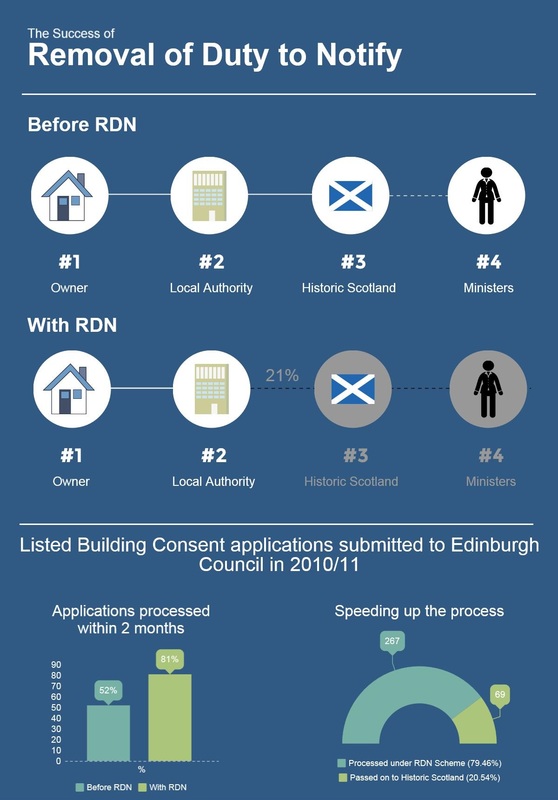 The RDN process allowed certain more minor works to Category B listed buildings to be dealt with by authorities alone, with Historic Scotland still involved in more substantial work. The success of the scheme for B-listed buildings led the Cities of Edinburgh and Glasgow to extend the process to include A-listed buildings. A major case that involved the proposed demolition of the altered auditorium of the former super-cinema of 1930 to create a new hotel. 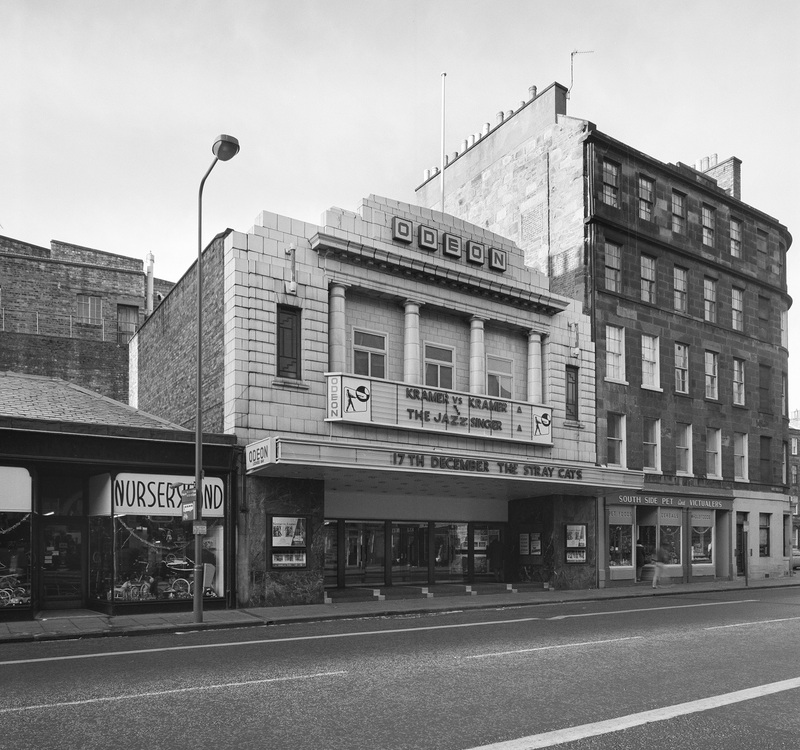 The case was called-in by Scottish Ministers and the Category A listed building has now been purchased by G1 Group for use as a cinema, restaurant and bar complex. The schemes were extensively monitored throughout their operation. We found the quality of decision making was high and identified no cases where a Council decision would have required intervention. The RDN scheme allowed us to reduce the double-handling of straightforward applications between authorities and ourselves, and to concentrate on more complex cases. It also freed up time within authorities allowing them to issue consents more quickly without the added 28 day referral period. All RDN schemes ceased in October 2015 on the formation of Historic Environment Scotland, which means that instead of being notified by authorities on behalf of Scottish Ministers towards the end of the LBC process, as a NDPB we are now consulted when the applications are first submitted. 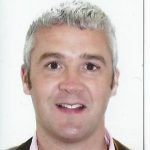 This allows us to give our advice at the beginning of the process, ideally influencing proposals more successfully. If we have concerns with an application we can also object at this early stage. The legacy of the RDN scheme has been a strong influence on shaping our new working practices. Although we are now consulted on all works to A and B listed buildings, we carefully assess every case on a daily basis, having regard to local expertise and capacity. Straightforward LBC cases, like many of those dealt with under RDN, are returned to authorities immediately, allowing them to process them swiftly, and allowing us to concentrate on the cases where we can most usefully add value. You can read more about the listing process on our website.